Eutrophication models are effective tools for assessing aquatic environments. The lake ecosystem consists of at least three trophic levels: phytoplankton, zooplankton, and fish. However, only a few studies have included fish sub-models in existing eutrophication models. In addition, no specific value or range is available for certain parameters of the fish sub-model. In the present study, a lake microcosm experimental system was established to determine the range of fish sub-model parameters. A three-trophic-level eutrophication model was established by combining the fish sub-model and eutrophication model. The Bayesian Markov Chain Monte Carlo and genetic algorithm method was used to calibrate the parameters of the eutrophication model. The results show that the maximum relative errors were due to phosphate (5.31%), the minimum relative error was due to nitrate (1.94%), and the relative error of dissolved oxygen, ammonia N, zooplankton, and chlorophyll ranged from 3 to 4%. 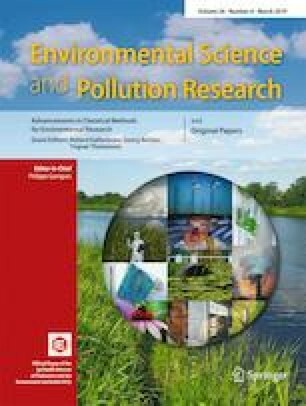 Compared with the two-trophic-level eutrophication model, the relative errors of ammonia nitrogen (4.17%), phosphate (− 5.31%), and nitrate (1.94%) in the three-trophic-level eutrophication model were lower than those in the two-trophic-level eutrophication model, indicating that the three-trophic-level eutrophication model can obtain highly accurate simulation results and provide a better understanding of eutrophication models for future use. The online version of this article ( https://doi.org/10.1007/s11356-018-04069-y) contains supplementary material, which is available to authorized users. This project was financially supported by the National Natural Science Foundation of China (grant no. 51409189). This study was performed in strict accordance with the NIH guidelines for the care and use of laboratory animals (NIH Publication No. 85-23 Rev. 1985) and was approved by the Institutional Animal Care and Use Committee of Tianjin University of Technology.